All classes are 45 minutes long. Your tuition includes 2 copies of the song collection on CD and a beautifully illustrated Songbook. New Families will receive a Parent Education Guide DVD, "Music Together® At Home: Helping Your Child Grow Musically"; a guide for parents and caregivers. You will also receive a family newsletter that includes educational articles, videos, downloads and through our new Family Music Zone. Our class is basic music and movement for children age 0-5 years old and their caregivers. Class activities include singing, dancing, small/large movement, fun activities, basic beat and rhythm training, and instrument play. Caregivers/parents are expected to participate. Join us for the Spring Semester "Tambourine" Collection 2019! "CLICK" the "CLASS types" on below to see all the classes offered for that semester and schedules. Early Start Music is proudly serving the East Bay in San Leandro, Castro Valley, Newark, Fremont, Oakland, East Bay areas. 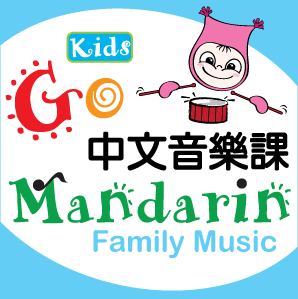 We offer Music Together classes and GoMandarin for babies, toddlers, preschoolers, and the grownups who love them! Come and join the fun with your little one! Copyright © 2019 Early Start Music All Rights Reserved.